I have a love affair with bananas. 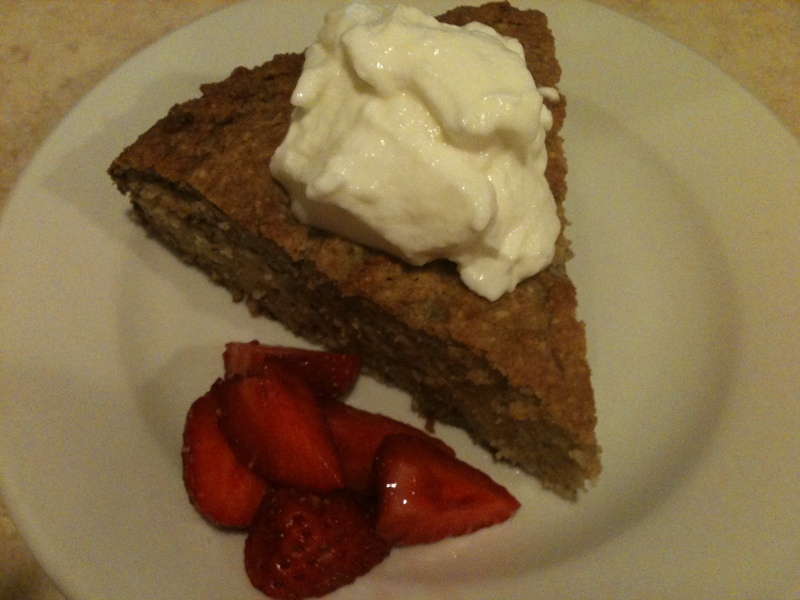 So naturally, sharing a grain-free banana cake recipe seemed like more than a great idea. I admit though, I recently decided to cut back my banana addiction because it had become a bit too frequent and consistent. Not that I was eating five a day or anything (I’d occasionally have two a day), but I came to the realization that I had eaten one nearly every day since October! I can’t help it … I love eating them mashed up in 24-hour yogurt, eating slices with coconut butter spread on top, and using them to make pancakes (so easy – mashed ripe banana, two eggs, cinnamon and sometimes 1 or 2 Tbsp of almond butter mixed in or spread on top). So anyway, I’ve been giving my system a little bit of a banana break, and after going a couple weeks of not eating bananas at all, I may now have one or two in a week’s time. I think this is much more reasonable. 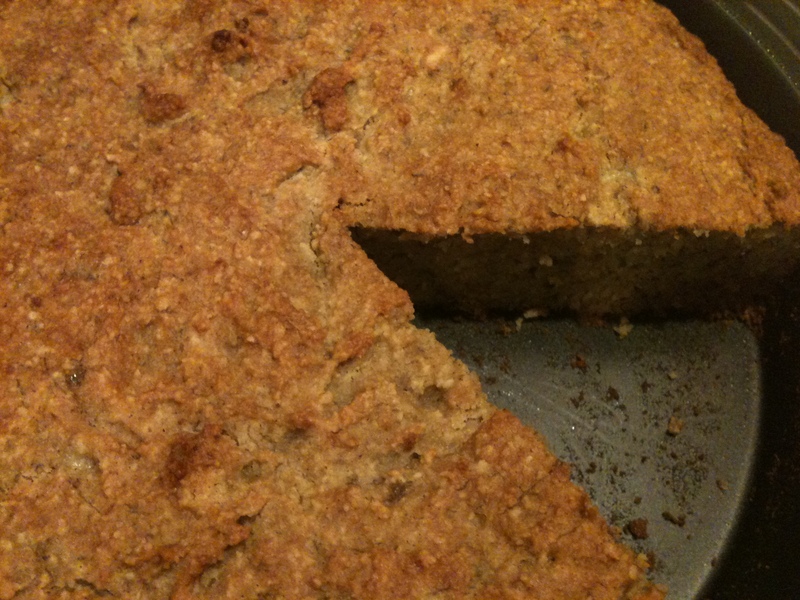 But, in this case, I chose to meet my weekly banana quota by way of a delectable, moist, subtly sweet banana cake. Basically, it’s like banana bread in the shape of a round cake instead of a loaf. I like to eat it with fresh Oregon strawberries and a dollop of my homemade 24-hour yogurt. Coconut whipped cream would also be wonderful. Mix dry ingredients together in large bowl. In separate bowl, mix wet ingredients. Pour the wet ingredients into the dry and mix together until well incorporated. Bake for 30-40 minutes, until top springs back when touched.